Bluetech Finland is an engineering company designing ships and coastal buildings for the marine industry. 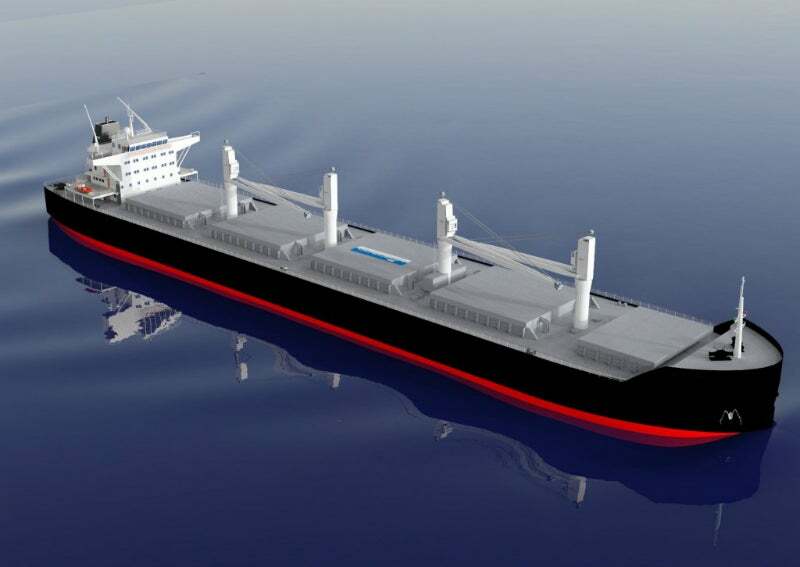 The company’s ship designs offer the highest fuel efficiency and optimised cargo volume capacity, providing shipowners vessels with the industry’s best earning potential. Bluetech Finland’s designs are based on the latest hydrodynamic research, and use up-to-date computational fluid dynamics (CFD) tools combined with extensive model testing. The company designs ship hulls with a high block co-efficient, providing more deadweight and cargo volume. It optimises aft and bow lines to deliver lower resistance across the whole speed range and a higher propulsion efficiency. Bluetech Finland aims to maximise the size of cargo holds to increase earning capacity. The company optimises loading cases and structural arrangements to provide a lower steel weight, which reduces costs but delivers a higher payload. The company’s current standard designs include three different handy or handymax bulk carriers, namely the Bluetech 41, Bluetech 42 and Bluetech 45. Six pieces of Bluetech 42 bulkers are currently under construction. Bluetech Finland is constantly developing new standard ship designs, which can be customised to specific requirements. The company’s engineering services combine experience in ship design with land-based building codes. Bluetech Finland designs ships and various ship systems, as well as hotels, homes and marinas that can float or be lifted using piles. Bluetech Finland’s mechanical, electrical, and plumbing (MEP) design also follows international green building codes, ensuring long-term sustainability, filling a growing market demand and providing substantial energy cost savings. The company uses state-of-the-art design tools, such as Nupas Cadmatic for steel structures, and MagiCad or Cadmatic for piping and air-conditioning. It also uses FEMAP for fe-analysis, Rhino for visualisations, and Autocad for 2D design. Bluetech Finland’s employees include naval architects, marine engineers and specialists. The company’s maritime engineering services combine the skills of experienced shipbuilders with newcomers, bringing fresh ideas to the industry. Together with its partners, the company has around 50 skilled engineers at its disposal. It aims to develop the world’s most cost-efficient cargo vessels and use its design knowledge for associated marine engineering projects. American Cruise Lines, one of the biggest cruise companies in the US, launched American Constellation, a new coastal cruise ship, into the waters of Wicomico River, Maryland, US, in July 2016. VOS Passion is a platform supply vessel operated by Vroon Offshore Services, an international shipping company. The vessel was built by COSCO Guangdong Shipyard in China and delivered to Vroon in August 2016.